Pamela Dorman Books/Viking is delighted to announce the publication of a new novel by Jojo Moyes featuring Louisa Clark, the character readers have come to know and love from global bestsellers Me Before You and After You. The new novel will be published in Spring 2018, and will follow Lou as she heads for New York, only to find herself torn between her old life and her new. 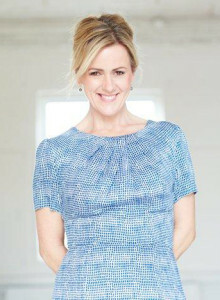 Jojo Moyes is a bestselling novelist and a journalist. Her previous novels have all been met with critical acclaim and bestselling sales, including Me Before You, After You, The Girl You Left Behind and One Plus One. Jojo Moyes’ profile is at an all-time high with worldwide sales of Me Before You and After You at nearly seventeen million copies. Last year’s film adaptation of Me Before You, starring Emilia Clarke and Sam Claflin, introduced legions of new fans to Jojo’s writing and the beloved character of Louisa Clark. Her works are available in a staggering 43 foreign languages and have sold twenty-nine million copies in total worldwide. Jojo Moyes is a UK based author who worked at the Independent for ten years before leaving to write full-time. She lives in Essex with her husband and their three children. Jojo is managed by Curtis Brown and her agent Sheila Crowley.